Singapore can often be a quiet week for rankings, because although anyone who's anyone wants to be seen at the track, they're all on the wrong timezone and exceptionally tired. Regardless, the drivers have still been up to mischief, with a couple of good video pieces for the UK broadcasts, some insight into what goes on underneath the firesuits, and an addict makes a confession. We're into the final straight of this 2014 Rankings Championship now, with less than ten weeks to go until our new title holder is crowned. If you spot anything worthy of points, it's time to stand up and make your voice heard! +2 Jean-Éric Vergne: Attempting a bit of retro glow-in-the-dark fun with his helmet. It didn't work but points for effort. +2 Felipe Massa: Kicking off his own meme by illustrating his "drove like a granny" quote. +1 Romain Grosjean: Not even attempting to hide his status as a chocoholic. +1 Lewis Hamilton: Showing he's taken a turn for the relaxed with a spot of photobombing. +1 Kevin Magnussen: Explaning that he wasn't too injured by the hot cockpit in Singapore with the short but to the point hashtag #notdead. -2 Max Chilton: I don't think it's ever a good idea to encourage throwing spiders around! -1 Fernando Alonso: Sharing slightly too much foot information after too hours in the cockpit around the Marina Bay track. Like getting out of a bath! 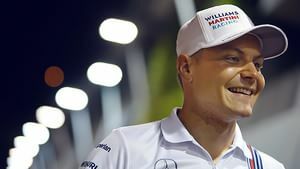 +2 Valtteri Bottas: A great behind-the-scenes video with the Williams driver, particularly when he gets tangled up in a pit stop. 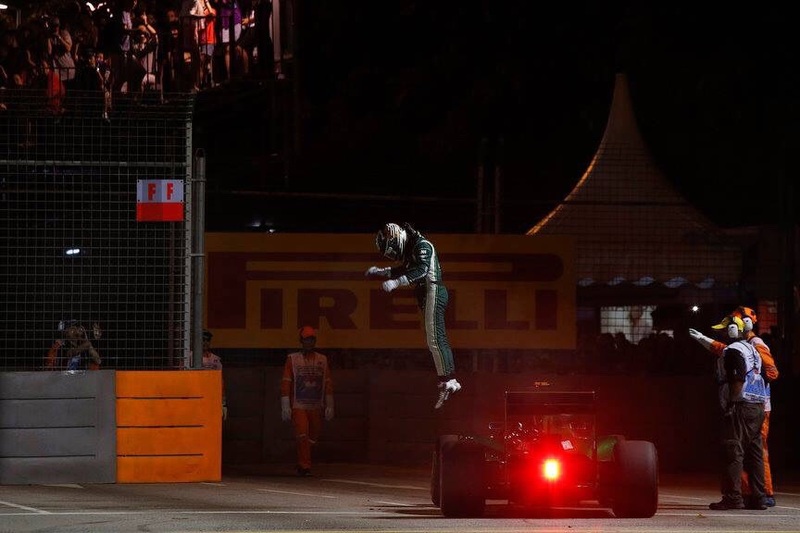 +1 Kamui Kobayashi: Getting some big air after hopping from his car during the Singapore formation lap. +3 Jenson Button: Fantastic piece for Sky Sports F1, comparing fitness levels as an amateur triathlete against the professional Brownlee brothers. +1 Valtteri Bottas: Sharing an umbrella with teammate Felipe Massa. Not groundbreaking, but sweet. +1 Felipe Massa: Sharing an umbrella with teammate Valtteri Bottas. Not groundbreaking, but sweet. Next post Do Petrolheads dream of electric cars?